Is there anybody who fits the word “icon” better than Betty White? The Golden Girl, and People’s Choice Awardee for TV Icon, just turned 93 on January 17th. To celebrate, her colleagues from Hot in Cleveland organized a sweet birthday surprise. The Hot in Cleveland cast and crew gave Ms. White some fun in the sun with a Hawaiian-themed flash mob–complete with leis, Hawaiian shirts, and hula-dancing. 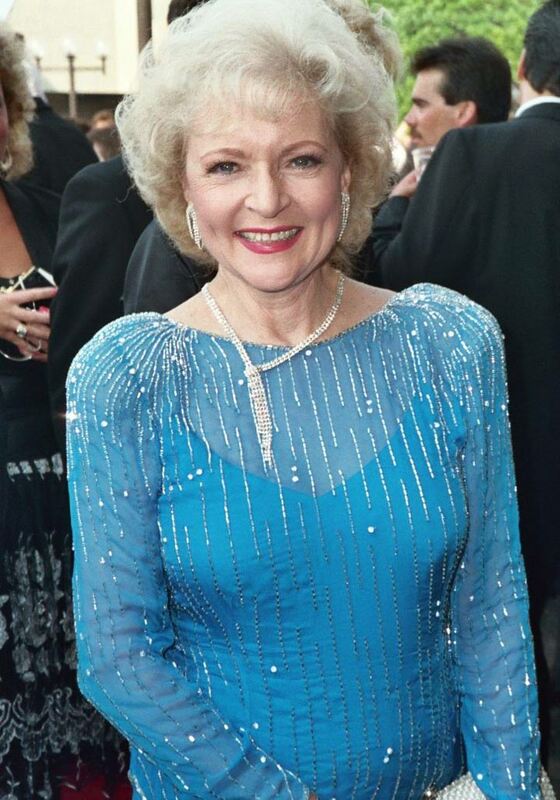 Betty White’s chic red carpet look at the 1988 Emmy Awards. Betty White has been entertaining audiences for 75 years, making her the record holder for longest television career by an entertainer. Her wit and impeccable timing made her one of Hollywood’s most successful comedians, giving her career longevity and acclaim in the usually unforgiving entertainment industry.